On Tuesday, the federal Liberals released their fourth and last budget before facing the electorate this fall. While there are many competing analyses on aspects of the budget, one thing is certain—the Liberals have no plan to balance the budget. 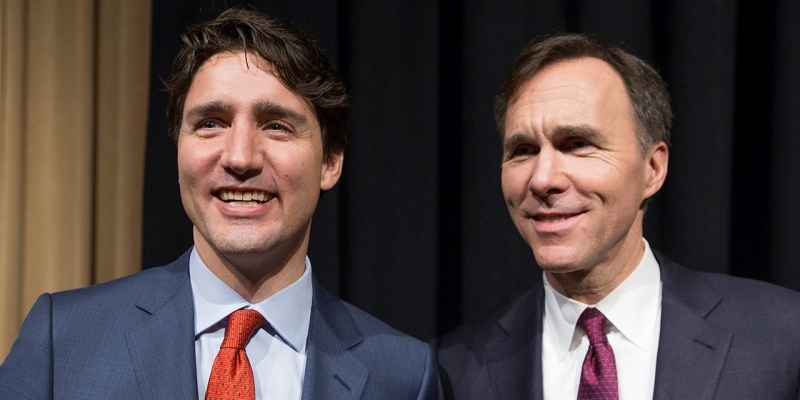 The government under Prime Minister Justin Trudeau and Finance Minister Bill Morneau has had ample opportunities over the last three-and-a-half years to demonstrate its ability and interest in balancing the budget. At every turn, however, this government has spent ever-higher amounts of money rather than plotting a route to balance. Consider this. The Harper government’s final budget called for program spending in 2015-16 of $263.2 billion. In the spring of 2016, the newly-elected Liberal government announced a 10.7 per cent increase in spending for fiscal year 2016-17, to $291.4 billion (an increase of $28.2 billion in one year). This resulted in one of the highest levels of per person spending (adjusted for inflation) in Canadian history, outside of a recession or major war. It also meant moving from an essentially balanced budget for 2015-16 to an expected deficit of almost $30.0 billion in 2016-17. The 2017 budget expected revenues to increase by $12.6 billion for 2017-18; when all was said and done, revenues increased by $20.1 billion. Unfortunately, the funds were spent nearly as fast as they were received. In fact, the deficit came in lower than planned in 2017-18 because the government wasn’t able to spend money on its much-heralded infrastructure initiative as fast as it might have liked. Since then, the government has repeatedly moved back the dates for infrastructure delivery, as it discovered the practical challenges of spending additional billions. However, perhaps the most telling evidence of the federal government’s proclivity for spending occurred last year. In the spring budget, Ottawa announced spending for 2018-19 totalling $312.2 billion. By the fall when the government delivered its economic update, it discovered higher than anticipated revenues and spent an additional $8 billion. In other words, the projected deficit for 2018-19 ($18.1 billion) could have been reduced by more than 40 per cent had the government simply stuck to the spending plan presented that spring. Even though revenues were higher than expected, the overall deficit remained unchanged—every extra cent was spent. And 2018 brought the second-highest level of per person spending (adjusted for inflation) in Canadian history (again, outside of recession or major war). Finally, the 2018 fall economic update indicated program spending this year (2019-20) would reach $328.3 billion, already $14.1 billion higher than the original 2016 plan. Tuesday’s budget calls for spending to reach $329.4 billion, an increase of $1.1 billion over the update released just five months ago. This also means the Liberals are on track have now recorded the three highest years of government program spending in Canadian history (outside of recessions or major wars). The price of this additional spending is double-digit deficits, despite the 2015 Liberal campaign promise that deficits would be temporary and the budget would be balanced this year. This government’s record clearly shows its interest in spending as much as possible. Worryingly, a slowdown in the economy, as we’re now experiencing, or an outright recession will significantly increase the deficit. Indeed, without any additional discretionary spending from this government, the annual deficit could easily reach almost $35 billion. And there are increasing signs the economy is weakening, further threatening the government’s finances. This push for ever-higher levels of spending also comes at a time when the Liberals’ own Department of Finance projects that, on current plans, the federal government won’t balance its budget until at least 2040, when the federal debt will approach nearly $1 trillion. While other aspects of Liberal fiscal policy can be debated, it’s hard to argue that the government is interested in balancing the budget while it spends as much as possible. The accumulating debt, and the risks of running deficits at a time of positive economic growth and low unemployment, means that should we slide into recession, federal finances will quickly deteriorate. The 2019 budget, upon which the Liberals will enter the election, does nothing to correct these policies.